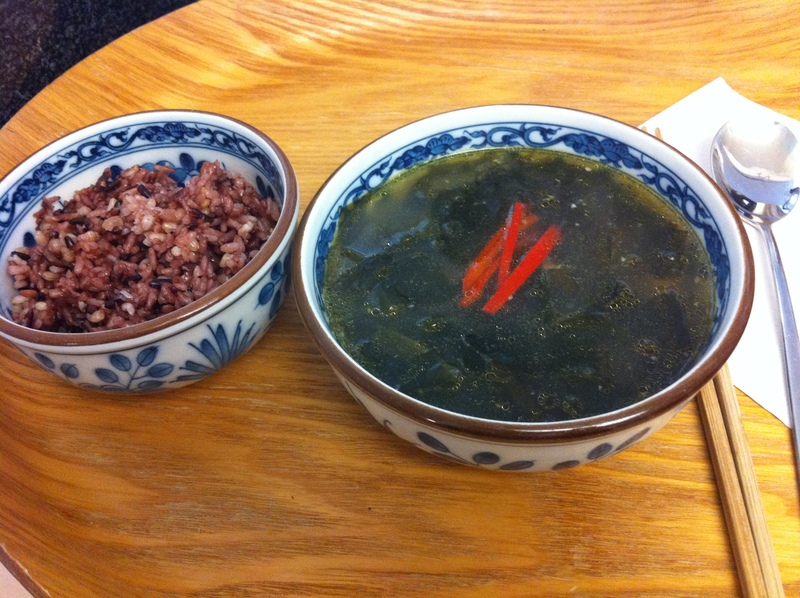 Miyuk-guk (미역국) is a classic Korean soup made of seaweed. You can make this soup with a variety of ingredients such as beef, mussels, clams or even sea urchin. Traditionally, it is a “birthday soup” because it is the first meal given to women who have just given birth. 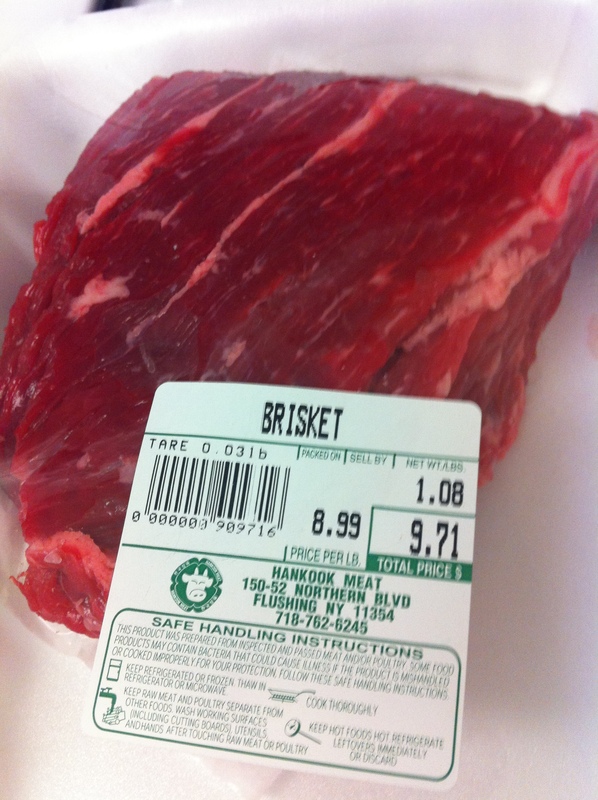 Customarily, many have this dish for consecutive weeks after birth. Miyuk–guk is full of calcium and iodine, which helps the recovery of new mothers but is also full of nutrition for children and the elderly. 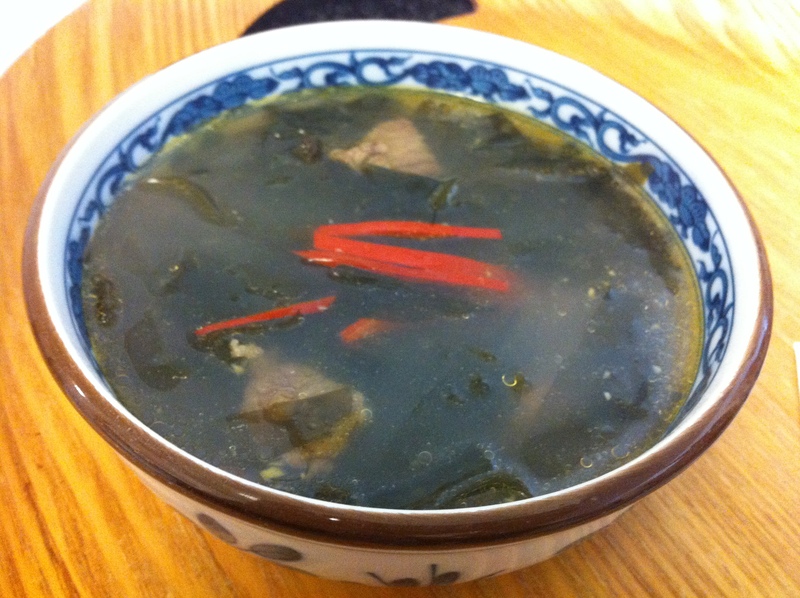 Today, I will introduce you to the most common and basic miyuk-guk, which is made with beef. One of the funniest memories I have about miyuk-guk happened about four years ago, when my best friend from high school, K, was visiting from Seoul. Around lunch time, I offered to cook and asked her what she wanted. Her reply was, “let’s just have a simple lunch with jaeuk-bokkeum* and miyuk-guk (간단하게 제육볶음이랑 미역국 먹자).” I just gave her a blank stare for a few seconds and snapped, “That’s not a simple lunch. We’ll have just miyuk–guk instead.” K was single and did not have much cooking experience at that time and probably didn’t realize it was going to take me more than two hours to cook both dishes. I, too, was obviously not as good of a cook since every dish took quite a while to make back then. 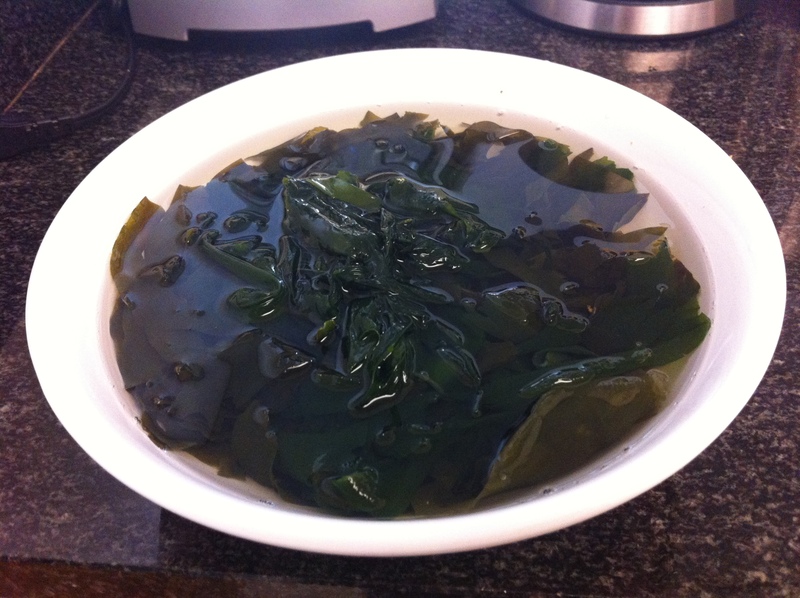 Ever since then, I often serve jaeuk-bokkem and miyuk-guk together to my family, thinking of K.
Soak the dried seaweed in a large bowl with plenty of water for at least 15 minutes. Keep in mind it will increase in volume 3-4 times. 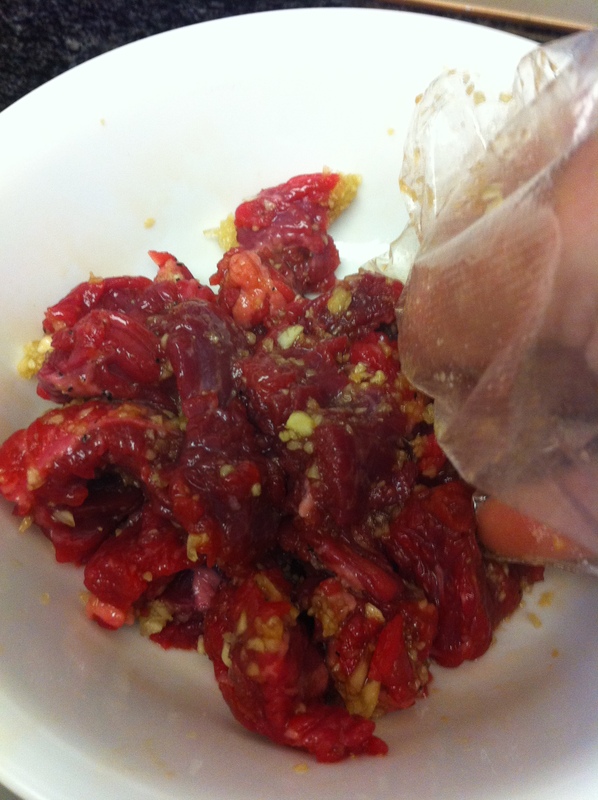 In the meantime, cut the beef in small bite size pieces and marinate with 1/2 tablespoon of guk-ganjang, 1/2 tablespoon of garlic, 1 teaspoon of sesame oil and a pinch of black pepper. 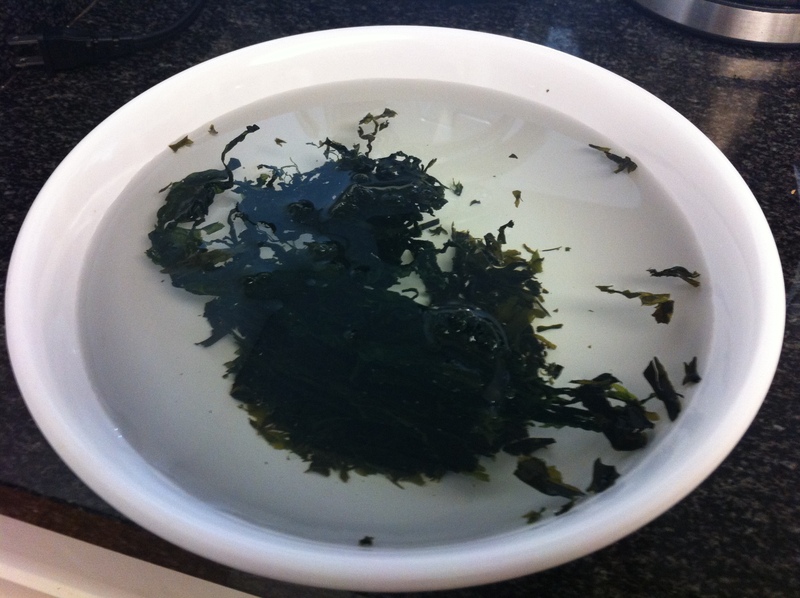 Rinse the soaked seaweed with cold water 3 to 5 times until you can see no foam forming. 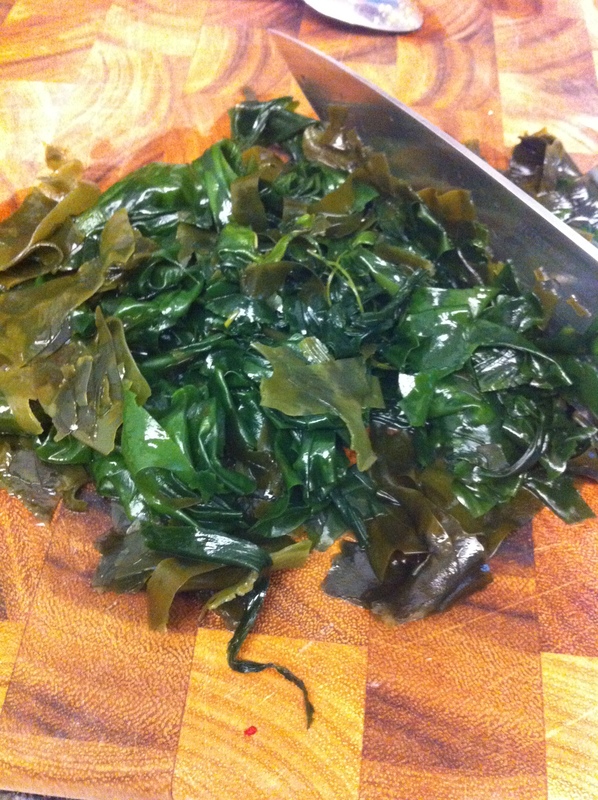 Drain well by pressing the seaweed between your hands and cut into 1 to 2 inch pieces. Heat a medium size pot on medium-high heat. Drizzle about 2 tablespoon of sesame oil and sauté the marinated beef for a few minutes. 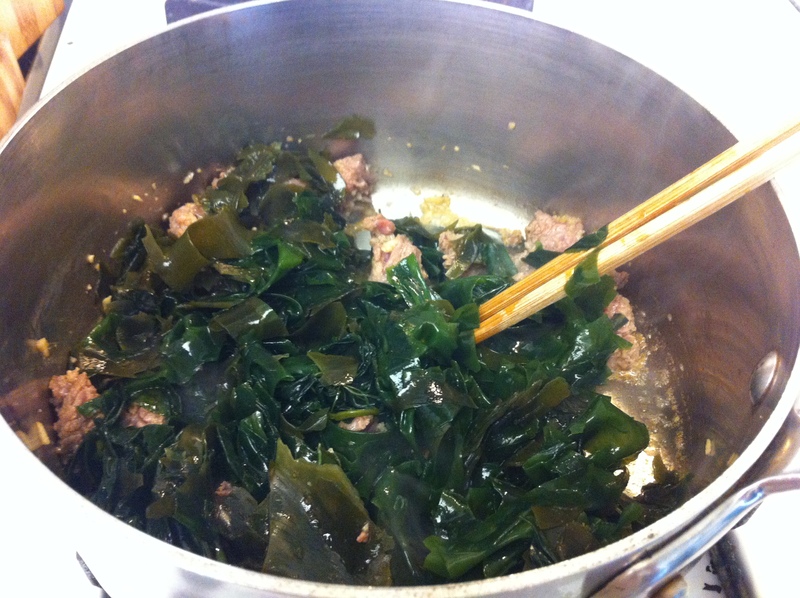 Add the seaweed and sauté them with the beef for another 5-10 minutes until most of the moisture of the seaweed is gone but not dry. Pour water and add the guk-ganjang and fish sauce, a tablespoon each. 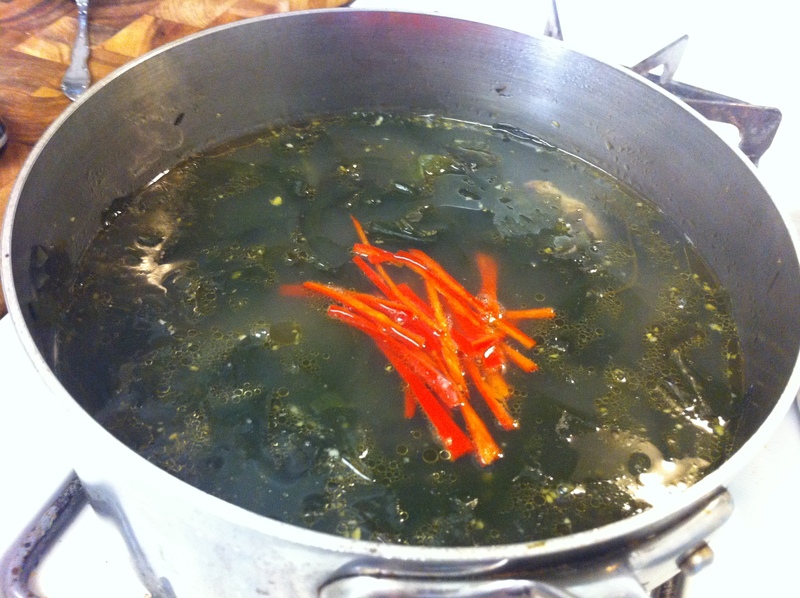 Bring the soup to a boil, then to a simmer. Simmer the soup for at least 30 minutes. Taste and add more guk-ganjang or salt if needed. 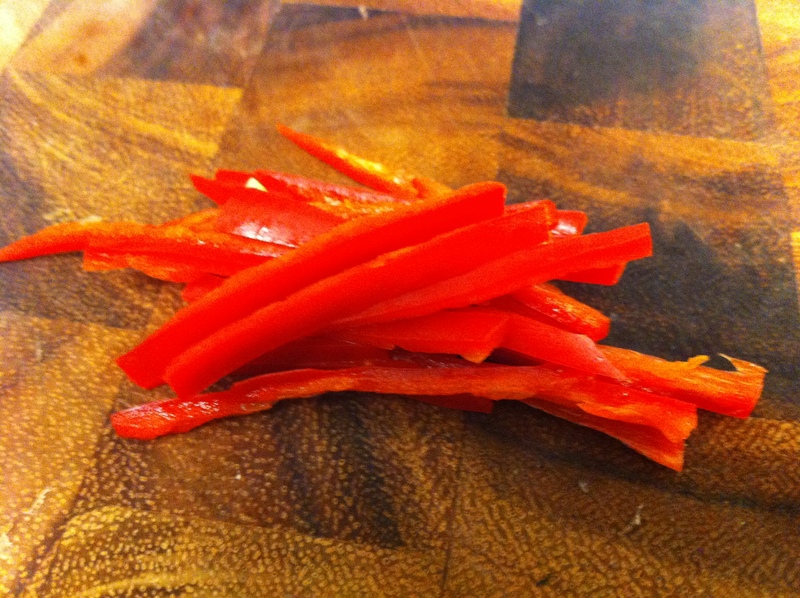 You can also add some julienned hot red peppers to add a slight kick. *Jaeyuk­-bokkeum (제육볶음) is a spicy pork dish, which is essentially osam-bulgogi made without the squid. * Guk-ganjan (국간장) is also called joson-ganjang (조선간장), which literally means Korean soy sauce. The difference between Korean soy sauce and the soy sauce you see in sushi restaurants or the local supermarket is that Korean soy sauce is lighter in color and consistency but is slightly saltier. 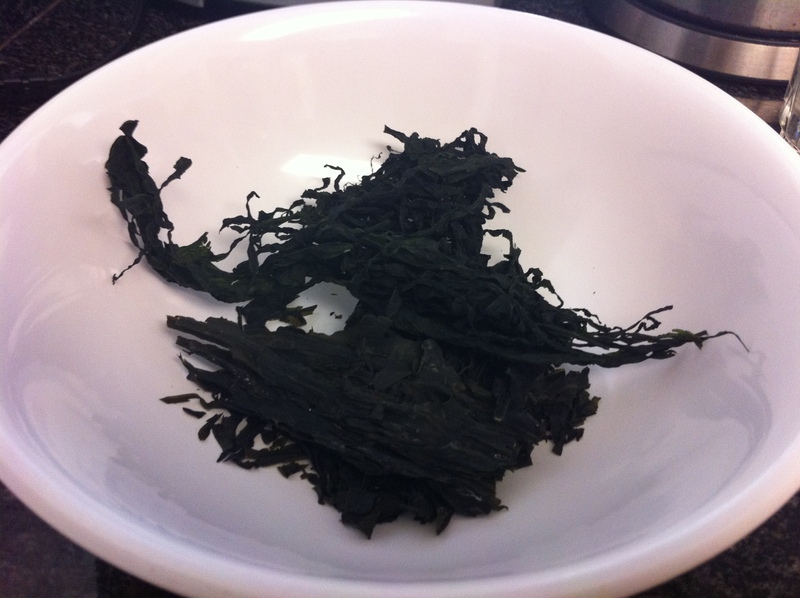 If you do not have guk-ganjang at home, simply use a little soy sauce and salt. I do, however, highly recommend purchasing one at a Korean supermarket because it is used in so many Korean dishes. This entry was posted in Good for breakfast, Good for dinner, Good for lunch, Meat/Chicken, Soup/Stew (국/탕/찌게) and tagged Beef, Miyuk, Seaweed, Soup by gangnamkitchen. Bookmark the permalink.